Bobby Petrino and Lamar Jackson lead Card March into Cardinal Stadium on a day that began as early as 4:30 a.m. for some fans, especially those who wanted to participate in ESPN’s Game Day programming at Belknap Campus (Cindy Rice Shelton photos). Sunday was supposed to be a day following the University of Louisville’s first win over Clemson, a time to celebrate another milestone, breaking into the nation’s top 10, and igniting talk of college playoff possibilities all over again. 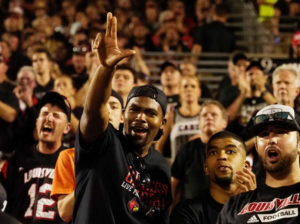 Seems like some disillusion and wishful thinking now following a 47-21 beating in which Clemson dominated Louisville in all phases of the game before a crowd of 55,582 fans at Cardinal Stadium, the second largest attended game in UofL football history. Lamar Jackson finds some rare running room in the third quarter (Cindy Rice Shelton photo). Quarterback Lamar Jackson scrambling and hemmed in most of the night, unable to connect with his favorite receivers when it counted. Throws to Jaylen Smith bouncing off his fingers or his chest much of the night. Des Fitzpatrick covered up, hard to find. Both would eventually score but not before the game was well out of reach. None of those exciting way-down-the-field passes for Jackson in this game. The only thing that seemed to work, and dismally at that, were numerous sideline passes, resulting in only three or four yards at best. One is in trouble when that is the best available option. 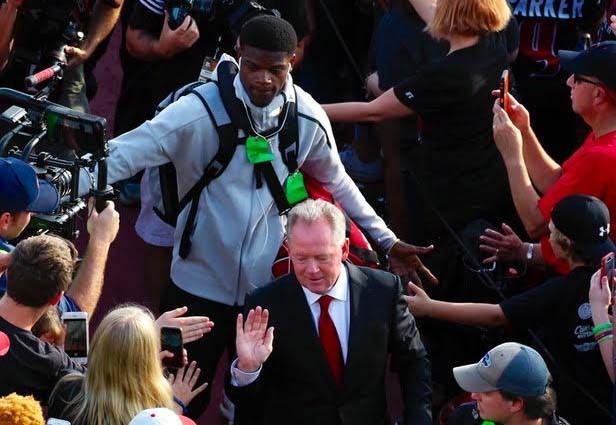 The crowd of 55,580 was the second largest in UofL football history (Cindy Rice Shelton photo). Reggie Bonnafon still struggling to gain any traction at running back, seemingly running in slow motion. Forget about reckless abandon for Bonnafon, and he’s not a point of emphasis for opposing coaches. Managing only 17 yards in his four carries. Malik Williams clearly the better option, picking up 39 yards in six run and 36 more on three pass receptions. But Bobby Petrino is sticking with Bonnafon until he is forced to make a change. Reminiscent of days of old, Clemson making it look so easy. Louisville’s passing defense has been abused since the opening game against Purdue, and it’s only getting worse. Mindful of the Kragthorpian days with opposing quarterbacks getting all the time they need to find open receivers all over the field. The one-sided loss capable of robbing fans of much of the optimism for the season. The immediate outlook ho-hum with noon kickoffs against Kent State and Murray State over the next two weeks. No disrespect but it’s pretty hard to get excited for the no-names, whether one is a fan or a player. 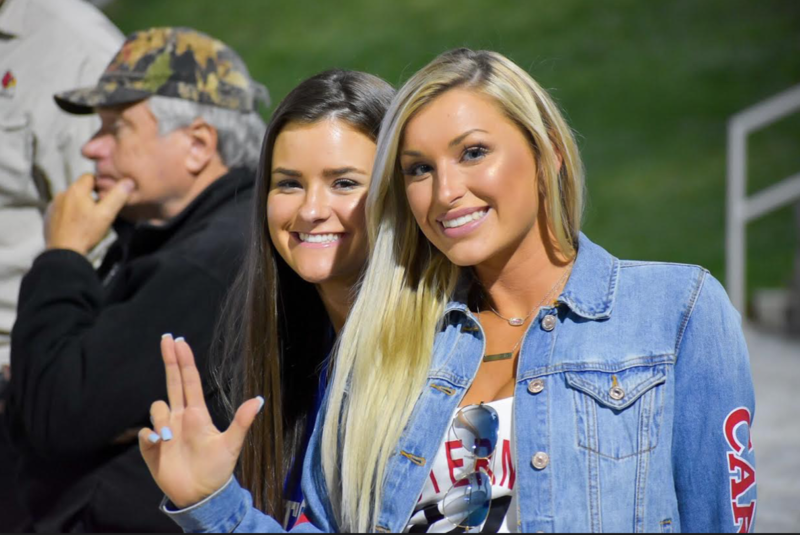 Making UofL football fun again has to begin sometime. There are five weeks before the Cardinals line up against Florida State in Tallahassee. Lots of time to get better, make the season meaningful again. 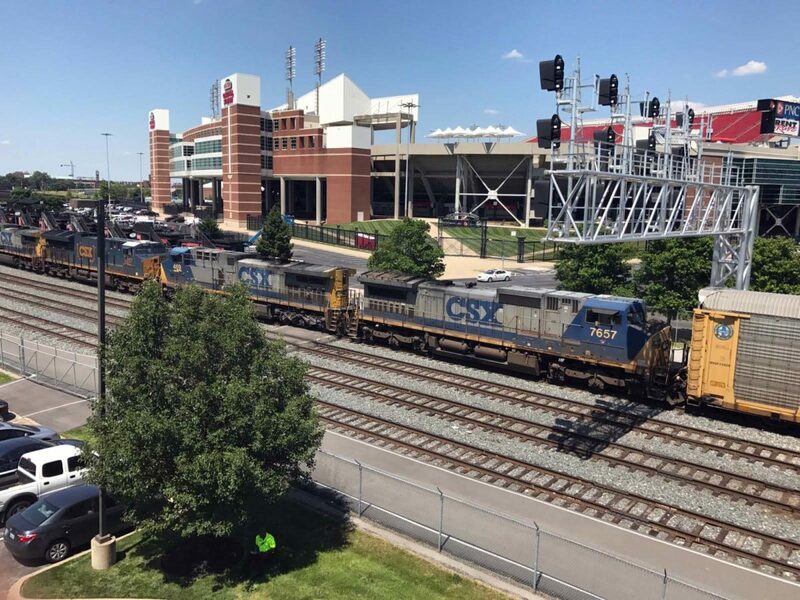 The ESPN hype train arrives in Louisville on Friday, making Papa John’s Cardinal Stadium the center of the college football universe, at least for the weekend. A major intersection, a crossroads for UofL football program. Maybe still another milestone. 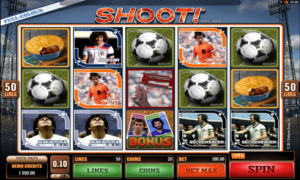 A game pitting the No. 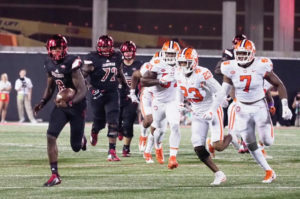 13 University of Louisville football against third-ranked Clemson, featuring Heisman Trophy winner Lamar Jackson against the defending national champion. Against a team and a coach that believed former CU quarterback Deshaun Watson was more deserving on the Heisman award. 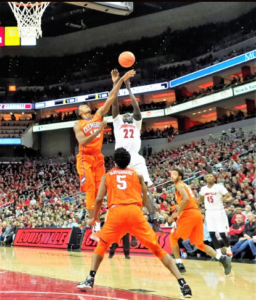 UofL badly needs to get its first win over Clemson in four tries, after falling short, knocking on the door at the end, losing all three games by six points or less over the past three seasons. Leaving the field with their offense in the shadow of the goalposts each time, knowing they could have, probably should have won each of those games. 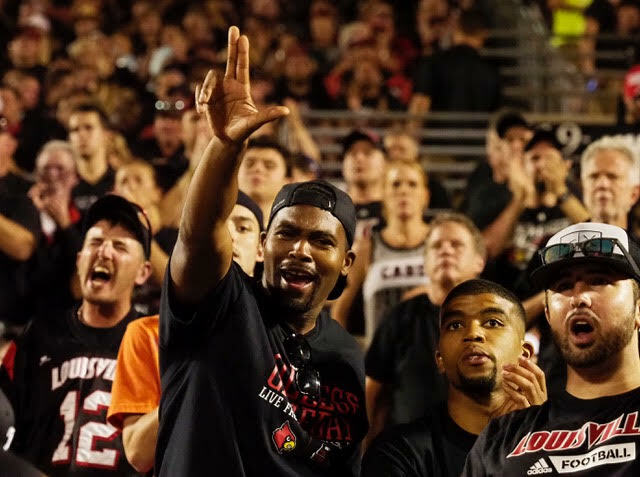 Former UofL assistant Vance Bedford once urged Louisville fans to get on board the train. 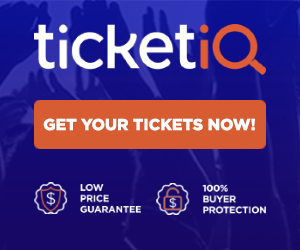 And they will be Saturday night, upwards of 55,000 fans or so, probably setting another all-time attendance record for Cardinals’ football. 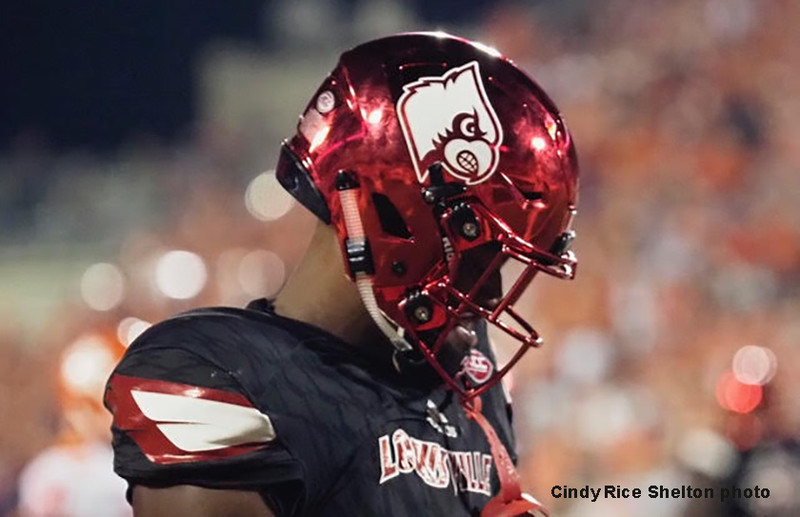 Make no mistake, much at stake here for Louisville football. Win and the program will take a monumental leap in national respect. Lose and the journey just gets harder and longer, postponing the inevitable into an uncertain future. Blow the horn, stoke those coals, fan the flames, darken the skies with black smoke. 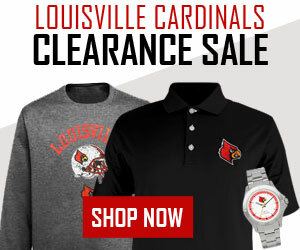 Louisville football, time to go. 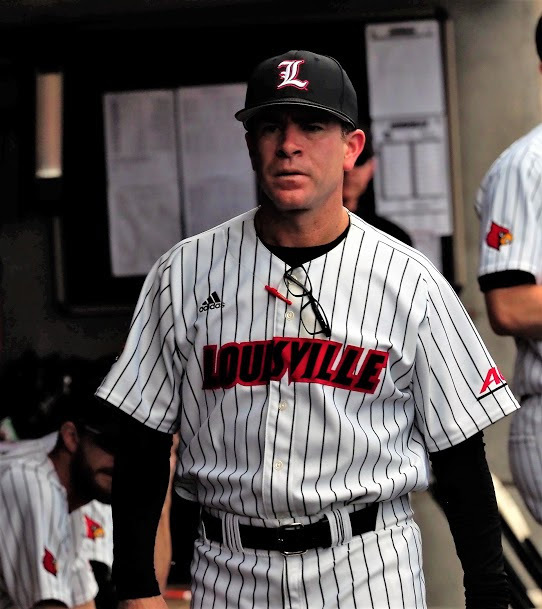 Dan McDonnell earns his 500th win and a share of the ACC’s Atlantic Division title (Cindy Rice Shelton photo). Lots of base runners for Clemson, but 16 of them left in waiting on the base paths. One of those long, long games, this one three hours and forty-nine minutes, with the outcome always in doubt. The kind of game that ages college baseball coaches prematurely. Happy ending, however, with still another milestone for Dan McDonnell. His University of Louisville baseball team chalking up an important 4-2 win at Clemson in the first game of a three-day series. No. 500 for McDonnell, coming in the 50th game of his 11th season at UofL. He is, of course, the winningest coach in the program’s history, averaging 45.6 wins per season. He entered the season ranked fifth among active coaches in winning percentage. The win improves UofL’s record to 44-6 with six games remaining in the regular season. Few of those wins more challenging than the one the one on Thursday, not with left hander Brendan McKay loading the bases in the first and second innings. His pitch count was well over 50 by the end of the third, but he still managed to hold Clemson scoreless through five innings. He’s now 8-3 on the season. Clemson would tap Louisville reliever Sam Bordner for three hits and a couple of walks in the sixth, sending two runs across the plate. With the Cardinals clinging to a two-run lead, junior Lincoln Henzman toss two shutout innings of relief to earn his 15th save of the season. Colby Fitch, moving back to second in batting lineup, got things off to a positive start with a home run over the right field wall in the first inning. Drew Ellis was 3-for-4 with his 17th double while raising his batting average to .392. Josh Stowers chipped in with a single, one walk and one run scored. 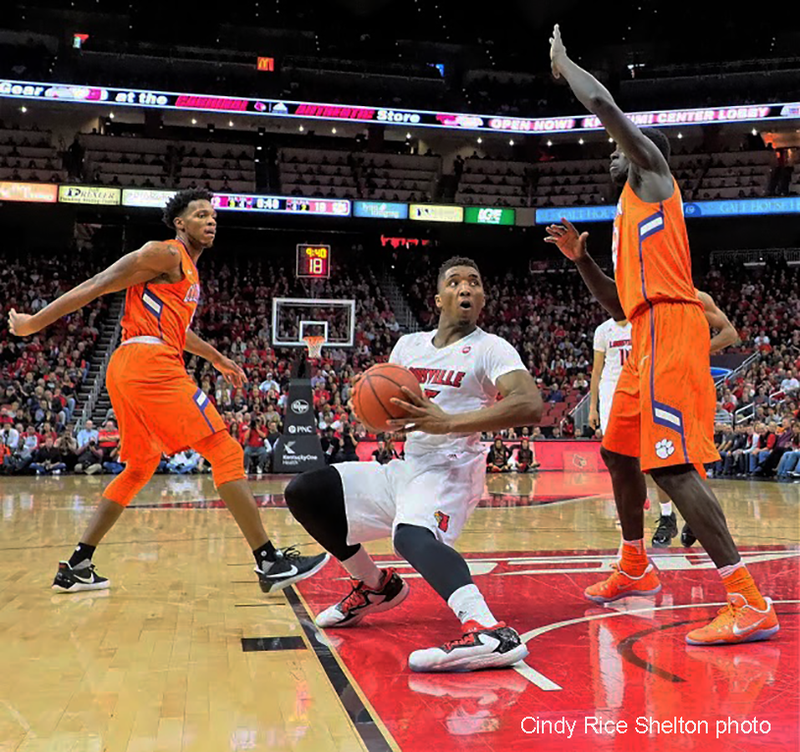 The win earned at least a tie for first place for Louisville in the ACC’s Atlantic Coast Division. The Cardinals need one more conference win to clinch their third division title since joining the conference three years ago. Donovan Mitchell would not be denied in the first half, letting his teammates take over the second (Cindy Rice Shelton photo). 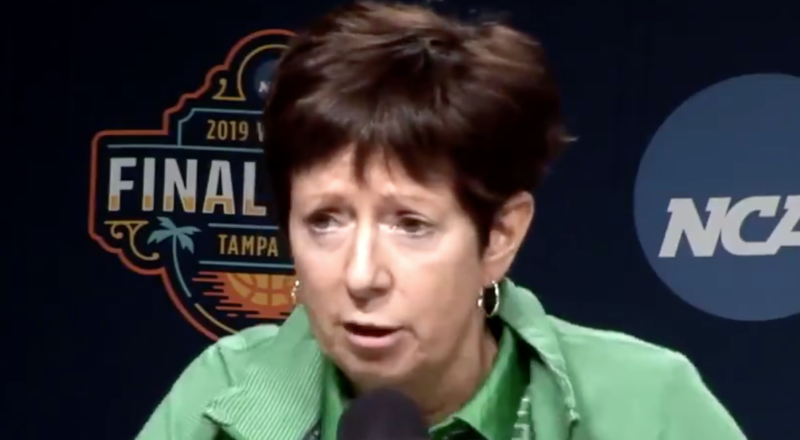 An understatement to say things weren’t going well for the University of Louisville basketball team, and they were getting worse. There sat Quentin Snider on the bench, with a forlorn look on his face, dejected and unavailable. And for more than nine minutes, Clemson was having its way with UofL, jumping off to a 7-0 start, slamming the ball in the basket every other play, and extending the lead to 21-12. At that point something happened, happened after Coach Rick Pitino called a 30-second time out. Something that could only be described as the Pitino effect. No other explanation. Someone other than Donovan Mitchell would start making baskets. Deng Adel jumper. Jaylen Johnson layup. another Deng Adel jumper. Anas Mahmoud free throws. Deng Adel with a 3-pointer. Donovan Mitchell on a layup. The Deng Adel everybody had been waiting for showed up when he was needed most, scoring 18 points. (Cindy Rice Shelton photo). Less than five minutes later, Louisville had taken a 24-23 lead. 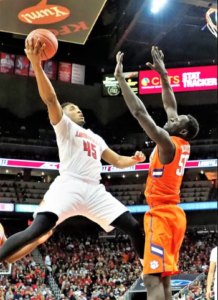 The Cardinals would never trail again, smacking the daylights out of Clemson 92-60 before a crowd of 21,436 at the KFC Yum! Center. One of the most impressive in-game turnarounds in recent Pitino history. Deng Adel, without a doubt playing his most complete game ever as a Cardinal, contributing 18 points, including two 3-pointers and three out of four free-throw attempts, and a couple of assists. This may have been the night that lit the switch for him. Donovan Mitchell setting the tone in the first half, making all eight of his field goal attempts, including two 3-pointers, for all of his 18 points in the game. What was so encouraging, however, was that his “offensively-challenged” teammates picked up the slack in the second half while he was missing all seven of his shots and making zero points. Pitino relieved and reinvigorated afterwards, but cautious about going to Florida State Saturday following a late night game and only day to prepare for the 2 o’clock encounter. Always got that Pitino effect, however. It will be needed Saturday.